Yogic practitioners practice a variety of poses. It is said that there is no less than 8.4 million asanas in traditional yoga. Taking a variety of poses is similar to traveling a variety of spots. If you visit a new spot, you see a new sight that you have never seen. Similarly, if you take a new pose, you see “your new self” that you have never experienced. For example, if you have never taken inverted posture, you cannot know how your breath is, how your sight is, and how your tension is when you take an inverted posture. In order to know them, you need to experience by yourself. The path to mastering many posture is similar to the path of travelers who seek to visit many places. 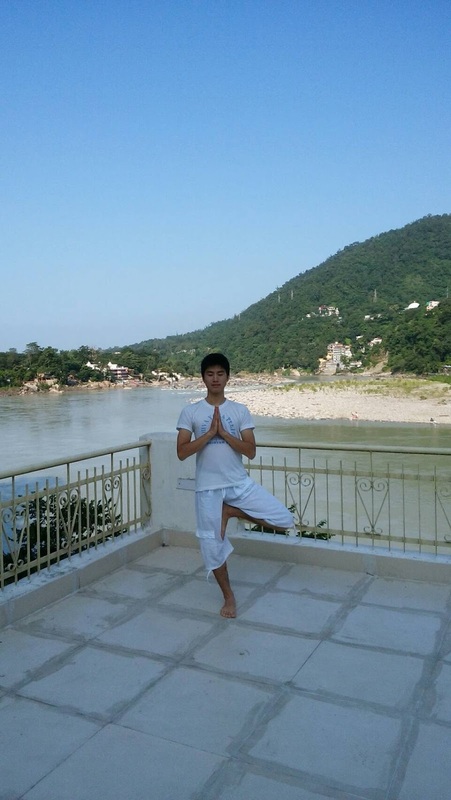 Then, is it important to master many poses (asanas)? Is it true that those who are flexible and can take many poses can enjoy yoga more than those who are not? The answer is yes, but at the same time no. It is true that the more flexible you are, the more various experience you can have. Similarly, travelers who use airplane and ship can move around and see a variety of spots while those who take a walk only around their home cannot see many famous spots in the world. 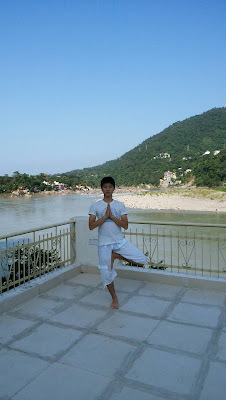 Therefore, it is necessary for yogic practitioners to make efforts to increase the number of poses that they can take. Travelers make efforts to increase the number of spots that they can visit as well. However, travelers who visit all over the world are not necessarily happier than those who take a walk only around their home. Similarly, those who are flexible and can take many poses don’t necessarily practice yoga more deeply than those who can take limited number of poses. It is possible to have a fresh discovery on daily walk in limited spots every single day, and it is possible to practice yoga deeply with limited poses, too. In fact, your pose differs according to your physical condition, timing, whether, season, place, etc. even if you take the same pose every day. It is yoga if you can taste profundity deeply with poses that you can take even if the number of poses is limited. On the contrary, if you consist only on external form, it is not yoga even if you are flexible and able to take a variety of poses. This is similar to a traveler who does something else without seeing the view in beautiful spot. Especially, 2 is inevitable. If you try to see view from the pose that you can take, your flexibility will improve spontaneously. I think it is an ideal practice of yoga asana.